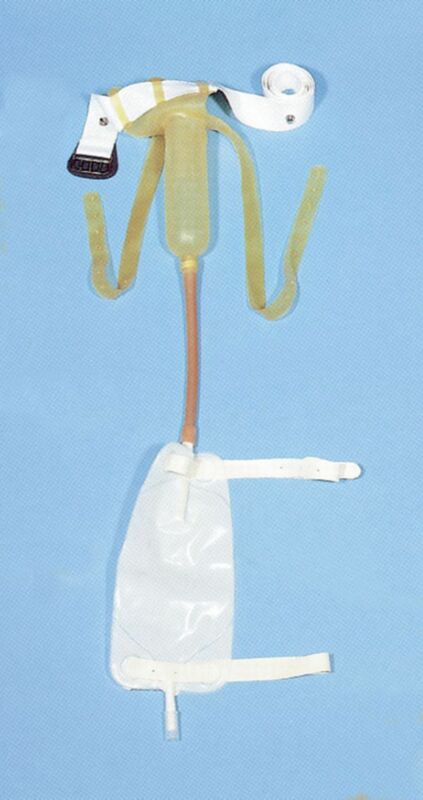 Urine collector for men, made of Latex and urine bag made of PVC. Urine collector for men, made of Latex and urine bag made of PVC. It is equipped with special valve for prevention of urine reversion. The two straps adjust to the leg, offering maximum stability. Can be used day and night.